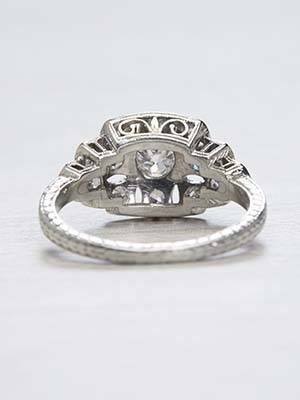 Capture your queen with this antique Edwardian engagement ring. 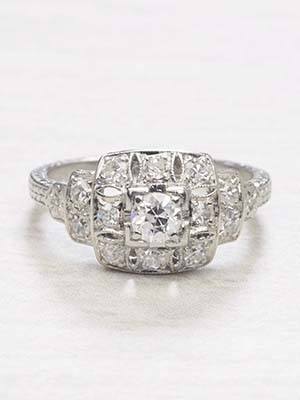 The diamonds in this engagement ring are laid out in a checkerboard pattern. 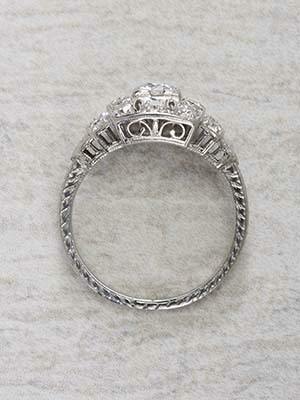 Set in a pierced and hand engraved mounting, the accenting diamonds are bead set around an old style full cut diamond. 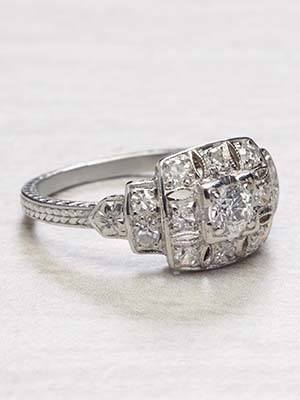 The band of this antique engagement ring is made of platinum and has a carved wheat motif. Details: Antique, Edwardian. Circa 1920. Platinum. 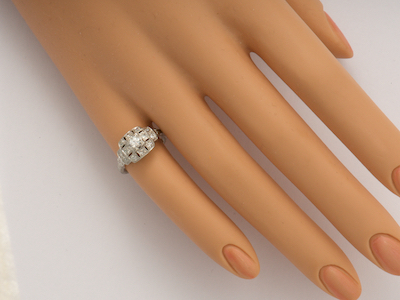 Old style full cut and single cut diamonds; 0.50 carats. 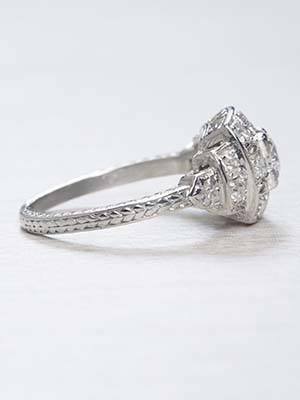 Special characteristics This late Edwardian diamond engagement ring in platinum features a pierced and hand engraved mounting. An old style full cut diamond weighing 0.20 carats is prong set and is surrounded by 12 bead set old style single cut diamonds. The single cut diamonds are bead set. Diamond comments The diamond is chipped on the girdle.